Thank you to the people and publications who mentioned my work in the past few weeks. 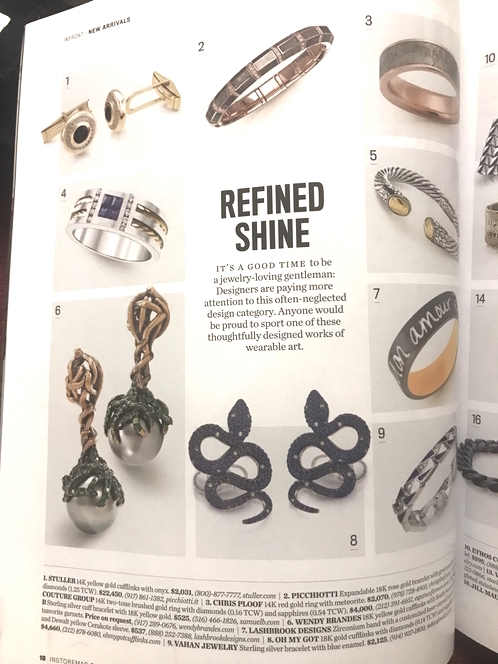 Amy Elliott of JCK included me in her “Jewelry Holiday Gift Guide, Naughty Edition,” declaring that my NSFW necklace in sterling silver is perfect for the friend who sends filthy emails. InStore Magazine’s December issue said that my pearl-and-tsavorite cufflinks were “refined shine” for men. 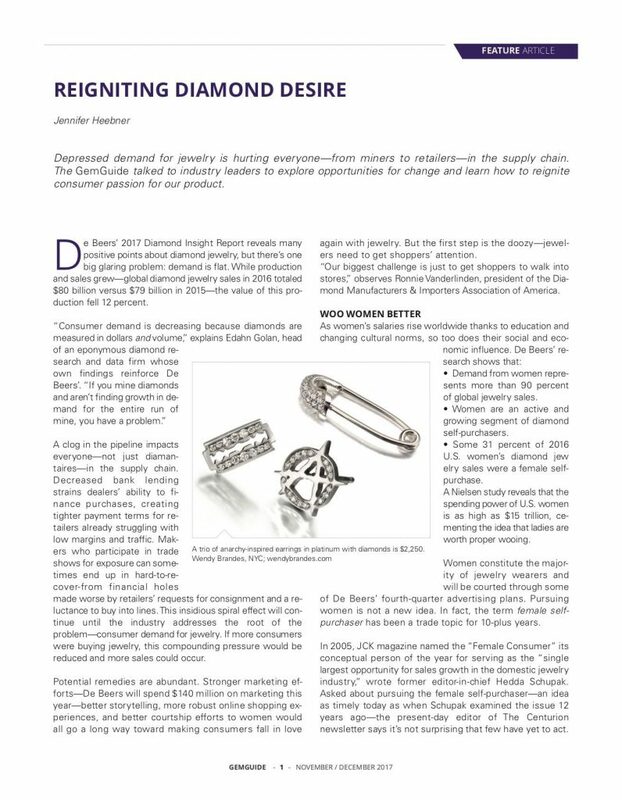 A couple of weeks ago, jewelry expert Jennifer Heebner quoted me in her “Reigniting Diamond Desire” story in GemGuide. My Punk Platinum earring trio in GemGuide. Click to shop. 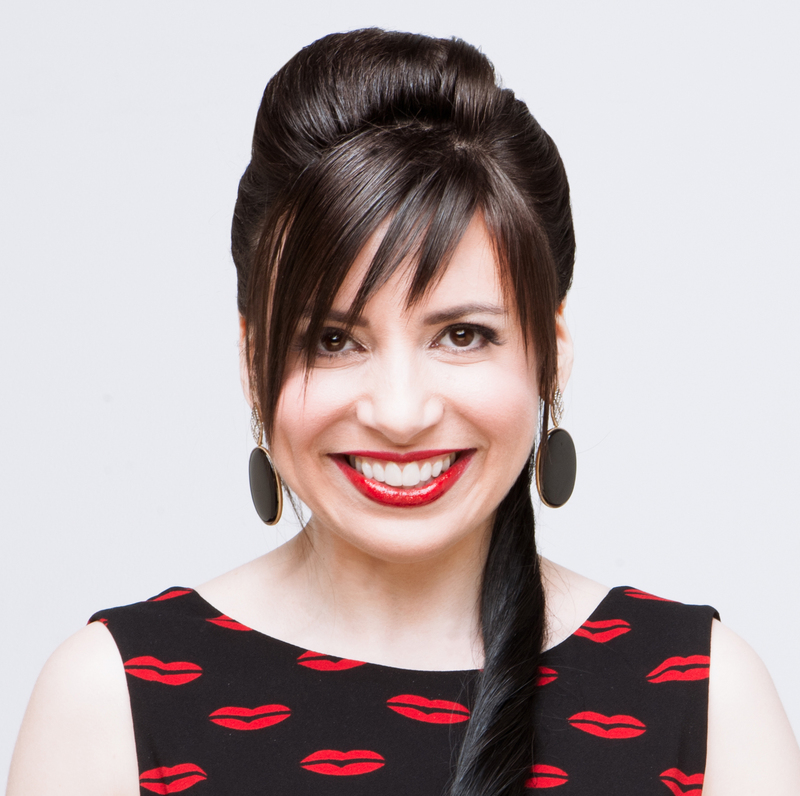 She also spoke to Myriam Gumuchian, whose family has been in the jewelry business since 1978. 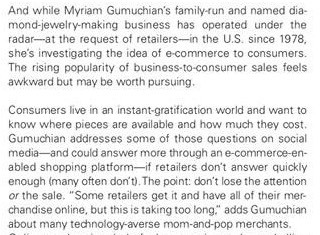 The Gumuchians work through retailers, who prefer the jewelry brand to stay “under the radar,” as Jennifer put it. But I thought Myriam made an interesting remark about answering customer questions on social media. As she points out, retailers who don’t react quickly to online queries can lose a sale for both the store and the brand. That’s exactly why my right-hand woman Eryn and I decided to launch the Wendy Brandes Jewelry Concierge Service this holiday season with two stores that we feel get (and give!) our level of customer service: Hummingbird Jewelers in Rhinebeck, N.Y., and Steve Quick Jeweler in Chicago. For a limited time, Hummingbird has 10 of my classic designs for sale and Steve Quick has one. But, at any time of the year, if you’re a customer of one of those stores, you can take a close look at and/or try on some of my designs before buying, even if they don’t have any of my work in stock at that time. All you have to do is get in touch with Hummingbird or Steve Quick and ask Bruce (at Hummingbird) or Melissa (at Steve Quick) to arrange a viewing. I’ll ship the pieces you’re interested in to the store overnight. This is the only way for non-New York customers to try before they buy with me, because everything on my website is final sale. It’s not that I don’t want to accommodate people, but I’m a small company with expensive inventory, and it’s risky for me to ship valuable items directly to customers without knowing that the transaction is complete. 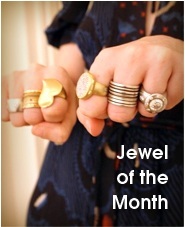 A trusted retailer with experience in handling fine jewelry can bridge that gap. So don’t be shy about reaching out to either of these fab retailers. 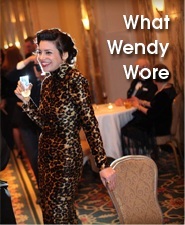 And, as always, you can get a quick answer from me by emailing info at wendybrandes dot com. I’m happy to tell you about the jewelry on the website, discuss custom work, and/or help you communicate with one of my Concierge stores.